Bert Weckhuysen gave a lecture at the Royal Institution London. 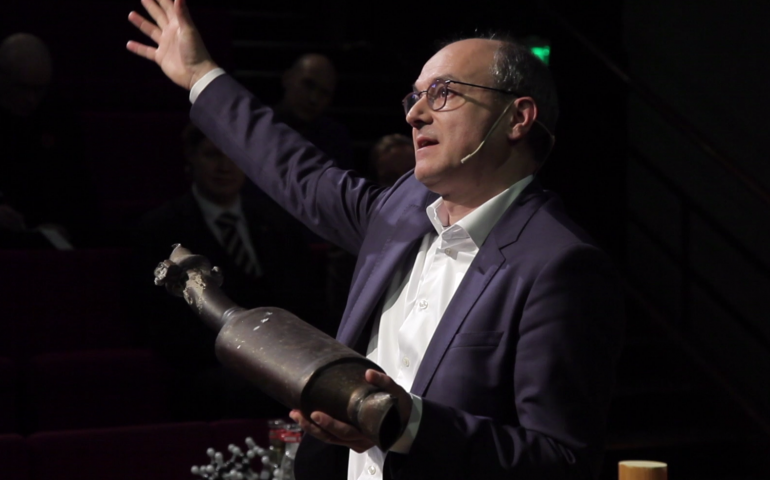 In his lecture, Bert takes his audience on a journey from the discovery of crude oil to our current problems with carbon dioxide, and the role of catalysis throughout this journey. Gasoline is made from crude oil with help of a catalyst, which cuts up large molecules to make a suitable fuel for car engines. Over the years, catalysts were developed to make fuels, plastics, and medicines. These materials, however, are also the root of problems like plastic waste and global warming caused by CO2. Fortunately, catalysts can also help us find solutions to these problems.